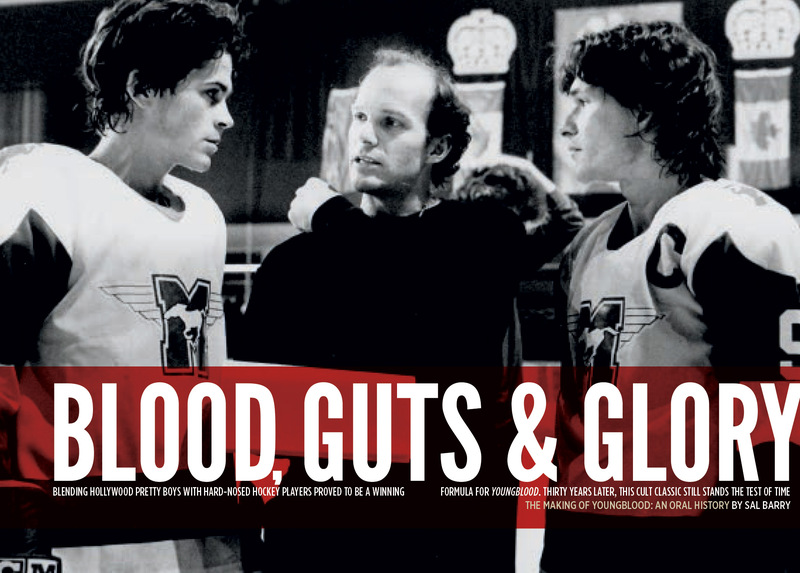 Earlier this month, The Hockey News published an article that I worked diligently on writing: “Blood, Guts & Glory – The Making of Youngblood: An Oral History.” For those who subscribe to the magazine, it is in the current issue. 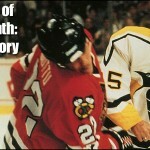 However, THN also put my “Youngblood” article on their website for everyone to read. 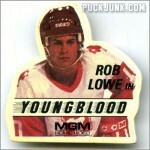 For those who don’t know, “Youngblood” is a hockey movie that came out in 1986. 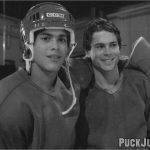 The film starred Rob Lowe as an aspiring hockey player from the U.S. who joins a junior team in Hamilton, Ontario. The film co-stars Patrick Swayze (who sadly passed away in 2009) as the Mustangs’ team captain. 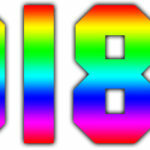 While Lowe, through his agent, refused to talk with me about “Youngblood,” I still spoke with many awesome sources: director and writer Peter Markle, cinematographer Mark Irwin, hockey coordinator Eric Nesterenko (a veteran of 20 NHL seasons) and former OHL player George Finn, who played the bad guy. I also interviewed a stunt double and two background hockey players, including Steve Thomas.